Butler and Freeport Streets in Etna. Photo by Tom O'Connor. While bicycles alone do not revitalize a neighborhood, many smaller boroughs and communities in the metropolitan area are eager to follow the city’s lead. Yet they often lack the resources to even begin. 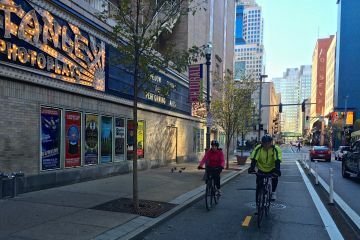 As Wolovich explained to NEXTpittsburgh, adapting existing roads to accommodate bikes and pedestrian spaces can be difficult: It brings up complex questions of zoning laws and urban planning that volunteer planning committees are ill-equipped to tackle. This is where the Complete Streets policy comes in. Complete Streets is a policy framework that requires new street and municipal projects to be designed to accommodate a variety of transportation modes — not just automobiles. The initiative was first launched in 2004 by the Washington, D.C.-based National Complete Streets Coalition. More than 1,400 communities nationwide have adopted the guidelines. And in the past three months, the Borough Councils in Etna, Sharpsburg and Millvale have joined that list. All three have passed Complete Streets policy frameworks. 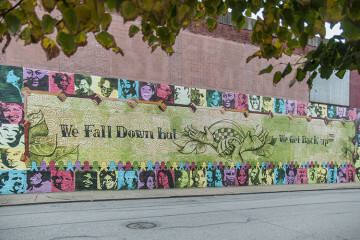 “In Sharpsburg, where nearly one-third of households don’t have access to a personal vehicle, safe walking and biking routes and connections to public transit have a huge impact on residents’ quality of life and access to opportunity,” says Brittany Reno, executive director of the Sharpsburg Neighborhood Organization and president of the Sharpsburg Borough Council. Wolovich says the new guidelines will affect a number of high-profile development projects that are already in the pipeline. These include riverfront developments in Etna and Sharpsburg, as well as ongoing resurfacing projects funded by the state and county. While council members and community volunteers may come and go, Wolovich says that the Complete Streets guidelines will enable smaller communities to have a consistent vision and execution plan for their redevelopment projects for the foreseeable future. Pittsburgh City Council passed similar legislation in 2016. 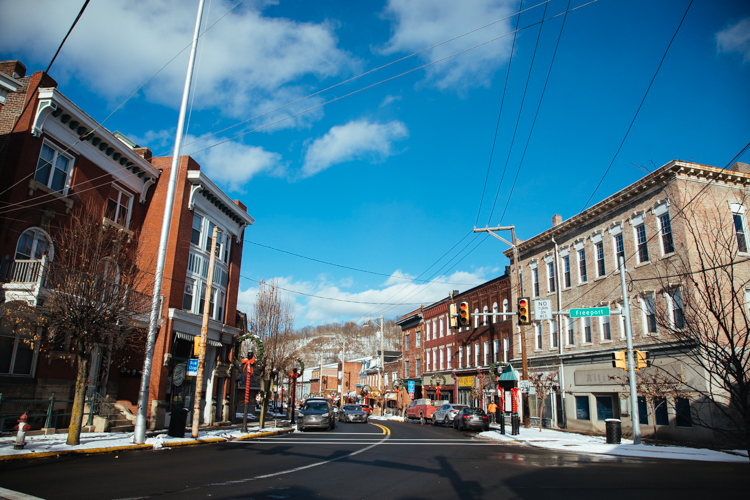 Like Etna, Millvale and Sharpsburg, the city collaborated with a wide range of stakeholders including the advocacy group BikePGH and the Allegheny County Health Department on the finer details of their own Complete Streets bill. Interested in seeing more? Mt. Lebanon features this illustrated document of Complete Streets on their website.